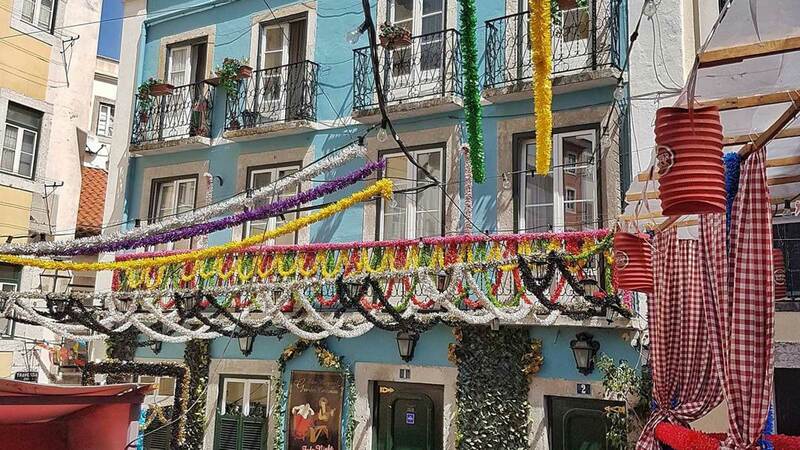 A month-long series of street parties and parades, the Festas de Lisboa signals the start of the summer festivals in Lisbon. Quiet, historic neighbourhoods across the city shed their sleepy facades and awake with live music, dancing and celebrations that last into the early hours. The festivities reach their pinnacle on the eve of St Anthony’s Day, which is on 13th June. 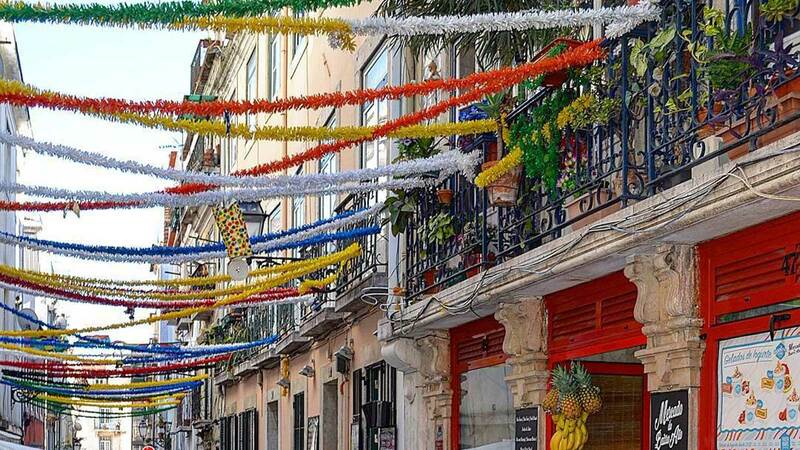 Every corner of the city is swept along in the celebrations, but the best parties can be found in Alfama and Mouraria – the special sunset parade along the Avenida da Liberdade is a definite highlight. On St Anthony’s Day itself, many of the roads are closed, the aroma of grilled sardines – which are traditionally eaten as part of the celebrations – fills the city, and the sound of Fado music drifts from what seems like every doorway. 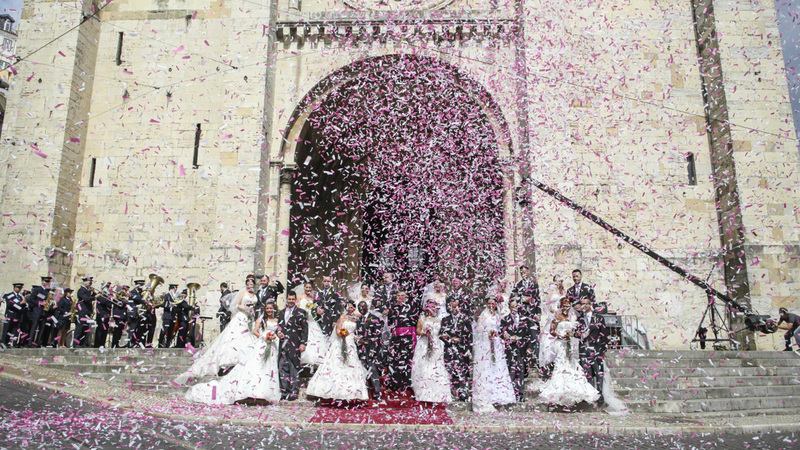 Lisbon’s patron saint also presides over matchmaking, so many of the city’s lovelorn and hopeful take the opportunity to pray for a partner. This tactic clearly pays off, given the mass marriages (dubbed St Anthony’s Weddings) which take place in the wake of the celebrations.